We have designed and developed a CMS WordPress website for The Livestock Emergency Guidelines and Standards (LEGS). 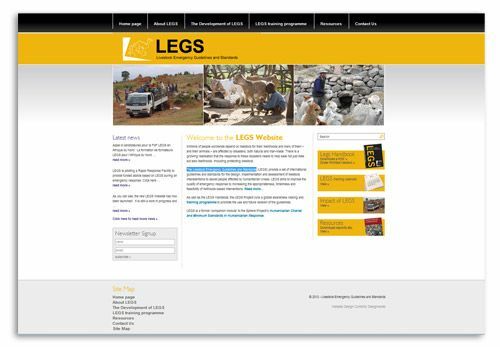 LEGS are an international organisation and provide a set of guidelines and standards for the design, implementation and assessment of livestock interventions to assist people affected by humanitarian crises. The French and Spanish versions of the website are due to come on line before the end of the year. The site was designed and developed with the client who’s based in Ethiopia. The distance and time difference wasn’t an issue and shows that we can work with businesses in all parts of the world.